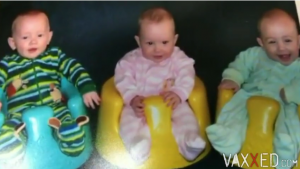 This entry was posted in Personal Stories Vaccine Injuries, Pregnancy and birth, Vaccine Injection Room and tagged Triplets on July 23, 2017 by Editor. VLA Comment: The big problem for the Healthcare bill is pricing in hospital facilities. Dr. Keith was one of the first to create the model. He is the co founder of Free Market Medical Association. His independent surgery center has been going on for 19 years…so successful that people come from all over the United States. For an example…a hernia operation- hospital vs.clinic. (Oklahoma city Surgery Independent Clinic)-FREE MARKET PRICING. This is a must watch. The hospitals etc are way over charging. When Dr. Keith put their prices online the establishment medical cabal of Oklahoma freaked out and so did the insurance companies. This is a great model to rein in the medical cabal. This entry was posted in Doctors Speak Out, Healing & Recovery Room, Liberty & Freedom Room, Recommended Websites and tagged Dr. Keith, Independent surgery, Oklahoma on July 19, 2017 by Editor. `What is at the root of Kidney Stones? This entry was posted in Medical information and Research Data and tagged Kidney on July 17, 2017 by Editor. This video reads the entire confession of the 79 year old CIA agent employed by CIA for 36 years confesses that he and his CIA team did the controlled demolition of building #7. This entry was posted in Liberty & Freedom Room and tagged 911, CIA, confession on July 15, 2017 by Editor. Then came disastrous news. Inoculated children began contracting polio. More and more cases were being reported by the day, including satellite cases where parents and siblings of inoculated children were contracting the disease, even when the inoculated child was not suffering. READ MORE…. 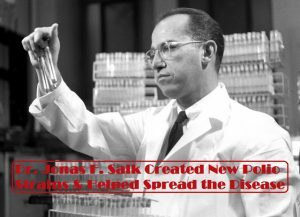 This entry was posted in POLIO, Pregnancy and birth, Vaccine Injection Room and tagged DR. SALK, JONAS SALK, POLIO, SALK on July 7, 2017 by Editor. Injecting Aluminum is now available in North America on DVD, Streaming and screening events from Cinema Libre Studio. More information on the film can be found at www.injectingaluminum.com. Don’t forget to join us on our Facebook page where a robust community has formed around the film and lively and informative discussions are taking place about vaccine safety. Daily news and resources about the risks of aluminum in vaccines are posted as well. 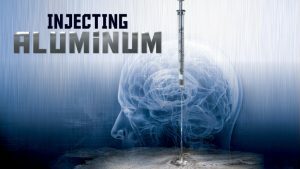 Injecting Aluminum, a new documentary by French journalist Marie-Ange Poyet, that investigates the history of aluminum in vaccines and its potentially devastating effects on the human body. 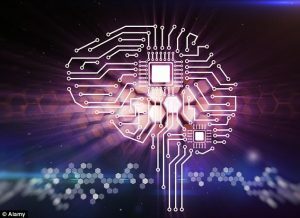 Aluminum has been recognized as a neurotoxic ingredient by leading researchers and scientists across the globe. So why do babies in the U.S. receive up to 4,925 micrograms (mcg) of aluminum within the first 18 months, and an additional 170 to 625 mcg by the age of 6 through routine vaccinations? What are the possible side effects of aluminum on the human body when injected? Injecting Aluminum investiates how aluminum has been used as a vaccine adjuvant (a substance that enhances the body’s immune response) since the 1920’s but has only been tested one time, on two rabbits. Their remains have since disappeared. This entry was posted in Government experimentation on the public, Pregnancy and birth, Vaccine Injection Room and tagged aluminum on July 5, 2017 by Editor.